Frustration has been my friend for a long time. I feel like I never have enough time for anything. I feel cooped up with caring for my children. I want to do so many things but I can’t. I feel trapped. I grow bitter, whinny, bitchy and all sorts of terrible things. I slowly start to hate myself. I feel unsatisfied with my life in general. What is wrong with me? I need somebody to save me from myself. I do not want to turn into a bitter delusional old lady. One day I was mad at my eldest daughter because her new cap was smashed in between her toys and, as a result, is now oddly shaped. She said, “It’s okay mami, it still looks cute.” I was still pretty mad, but what she said kind of nudged me. Imperfection is all good. Take it easy. Stop making a big deal about the little things. Chill out. Look at the bigger picture. I am blessed and I should appreciate my blessings instead. After that I did some thinking. Maybe it is not that I cannot do what I wanted to do. It’s because I am inhibiting myself. Going out with my eldest daughter is a hassle, so I avoid going out. Now I have no choice but to go out with the baby everyday and I have been doing quite alright. I am capable of doing more things than I think I can do. Three things are recurring in my life: fear, laziness and procrastination. Now all I need is some motivation and that is tough. Last but not least. The other day I saw a picture, on the Humans of New York Facebook Page, of a NICU baby mom who said she was going to go have a pedicure since it has been a stressful week. 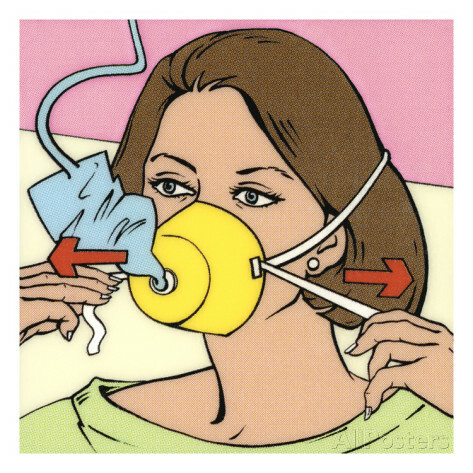 And there was a lady who commented “Put the oxygen mask on yourself first before putting it on your child.” Truly. Sometimes I really should stop and help myself. A month ago I was sick with a fever and my whole body was just hurting really badly. My husband let me run off to have a 1.5 hour massage and it seriously made an huge impact on my whole psyche. Sometimes people forget that they need to disinfect their tiny cut because, once gangrenous, it is already too late. Like the clutter in my house that keeps on growing in size and location – I need to deal with it ASAP and there is nobody other than me who can do it. I don’t know when I am going to get out of this slump. It sure is an uphill battle with myself. However, I know I will learn to love myself again. All images in this piece were found on the internet. We’d love to find the original sources and credit them for their awesomeness.